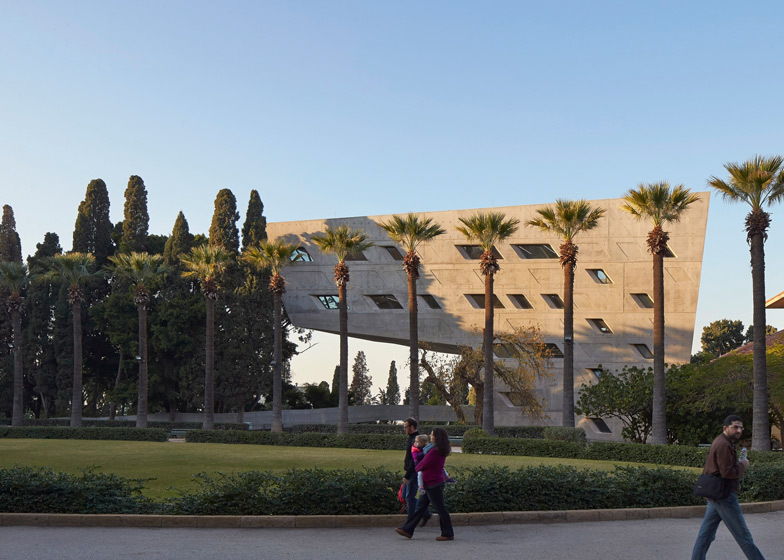 Zaha Hadid has completed a top-heavy building for the American University of Beirut in Lebanon, which cantilevers out over a public courtyard and a series of elevated pathways (+ slideshow). The Issam Fares Institute for Public Policy and International Affairs (IFI) was designed to provide a forum for debating public policies and decision-making in the Arab World, particularly issues such as the refugee crisis and climate change. The 3,000-square-metre building is located on the northern side of the university campus, which was masterplanned by American firm Sasaki Associates in 2002. To retain the established pathways and landscaping of this masterplan, Zaha Hadid Architects lifted half the building off the ground. This creates a public plaza at the entrance, described by the studio as "a forum for the exchange of ideas". 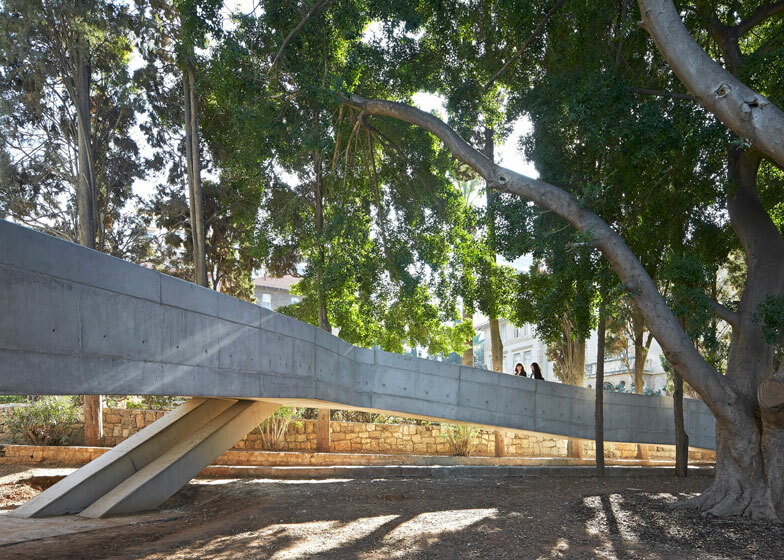 Surrounded by century-old ficus and cypress trees, the double-height space forms a natural meeting point. 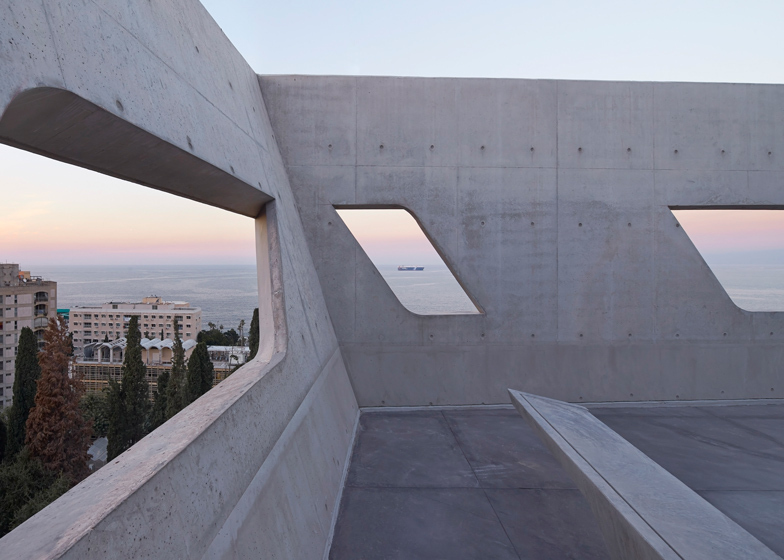 "The building emerges from the geometries of intersecting routes as a series of interlocking platforms and spaces for research, engagement and discourse," said Zaha Hadid Architects. Like the other buildings on campus, the IFI building is constructed from concrete. Each wall is indented with curving four-sided shapes, many of which function as windows. "The building takes full advantage of the region's tradition and expertise of working with in-situ concrete," said the team. A seven-metre change of level across the site creates entrances on three separate floors. A 100-seat auditorium occupies the sunken lower level of the building and has its own entrance, allowing large events and conferences to take place without disrupting day-to-day activities. Other spaces include a reading room, workshops and research areas. These are positioned within the cantilever and feature ink-pigmented glass partitions to allow views between rooms. 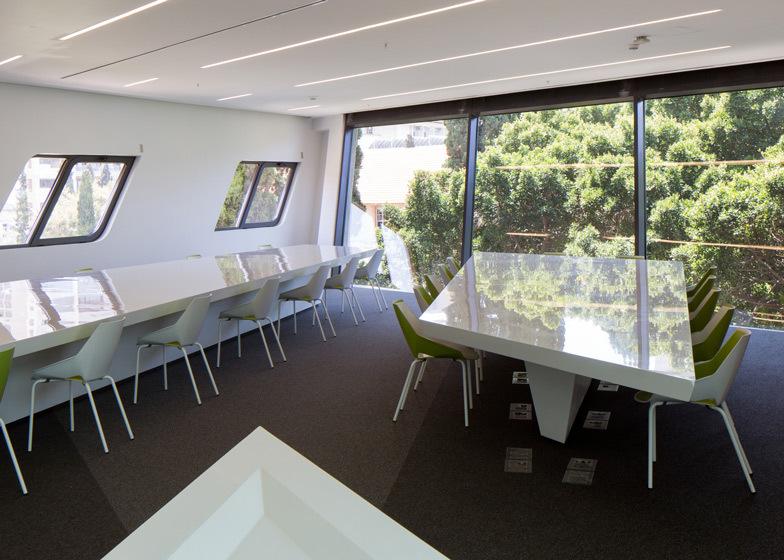 A large skylight helps to bring controlled levels of daylight through the interior, while a screened terrace offers a break-out space for staff and students on the roof. The IFI building is the latest in a series of projects by Zaha Hadid to complete in the last 12 months. The firm also recently unveiled a 38,000-square-metre cultural complex in South Korea, the Heydar Aliyev Centre in Azerbaijan and the Jockey Club Innovation Tower in Hong Kong. 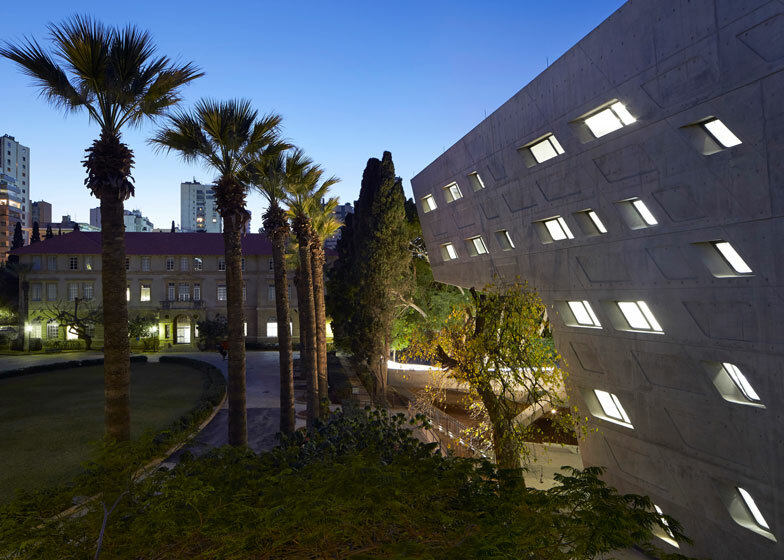 The Issam Fares Institute for Public Policy and International Affairs (IFI) building by Zaha Hadid Architects (ZHA) at the American University of Beirut (AUB) continues the on-going implementation of the 2002 AUB Campus Master Plan by Sasaki Associates (in collaboration with Machado and Silvetti, MGT of America, and Dar Al-Handasa, Shair and Partners) to advance the university's academic mission in the 21st Century with facilities of the highest international standards. The IFI was established as a neutral, dynamic, civil, and open space where people representing all viewpoints in society can gather and discuss significant issues, anchored in a long-standing commitment to mutual understanding and high quality research. The institute aims to harness, develop and initiate research of the Arab world to enhance and broaden debate on public policy and international relations. It currently works on several programs addressing the region's issues including the refugee crisis, climate change, food security, and water scarcity, youth, social justice and development, urbanism, and the UN in the Arab world. Relocating the infirmary closer to the new university hospital presented AUB with the opportunity to build the institute on the constrained site with a seven metre drop in elevation between its south and north boundaries. 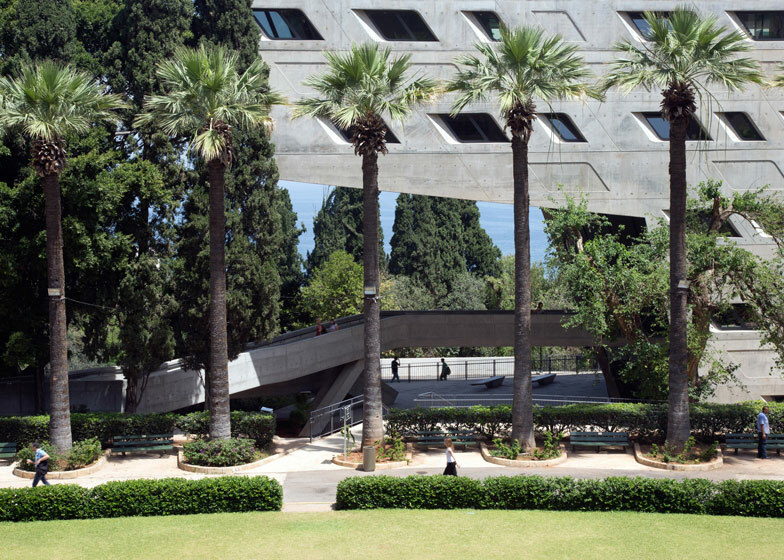 The existing AUB campus combines buildings constructed in concrete throughout the 20th century in a variety of revivalist and modernist styles with different cladding and rendering treatments. In 2006, the competition jury selected ZHA's proposal to build the new institute. 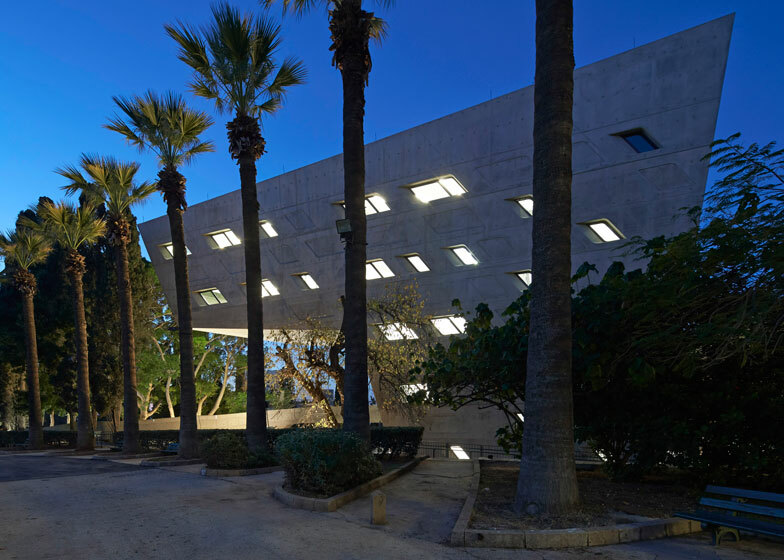 The design significantly reduces the building's footprint by 'floating' much of the IFI's facilities above the entrance courtyard to preserve the existing landscape integral to the 2002 masterplan, create a new public space for the campus, and establish links from the university's Central Oval to the Middle Campus and Mediterranean Sea to the north. 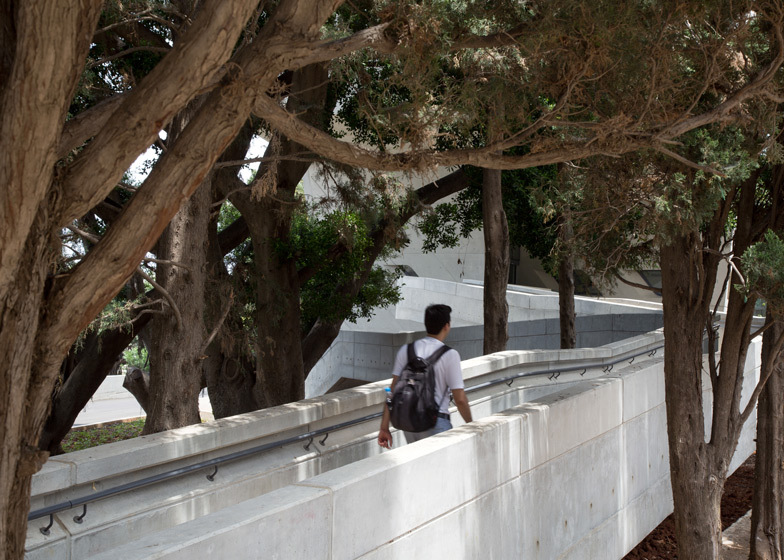 The 3,000-square-metre Issam Fares Institute building is defined by the many routes and connections within AUB; interweaving the pathways and views within the campus to create a forum for the exchange of ideas - a centre of interaction and dialogue - at the heart of the university. The IFI's reading room, conference workshops and research rooms 'float' above the exterior courtyard. 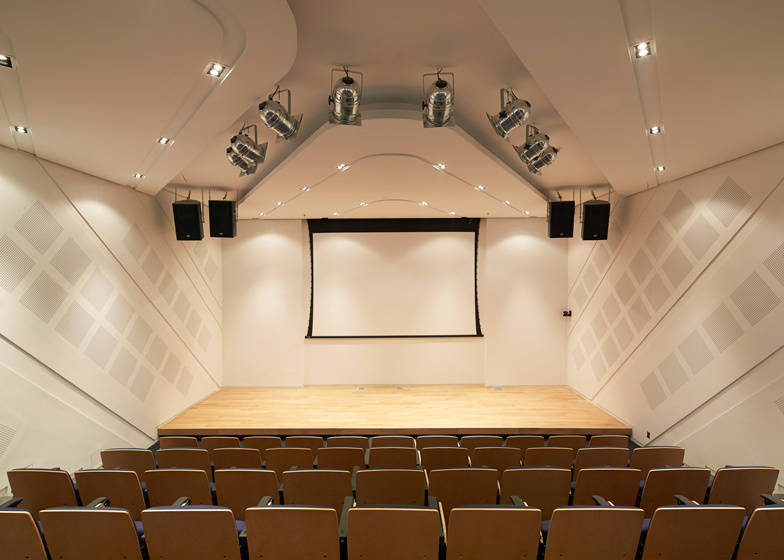 The 100-seat auditorium is on the lowest level with its own entrance to the north, enabling the institute to host larger conferences and presentations without disrupting students, fellows and researchers working throughout the building. Internal partitions are in ink-pigmented glass to enable communication and interaction. 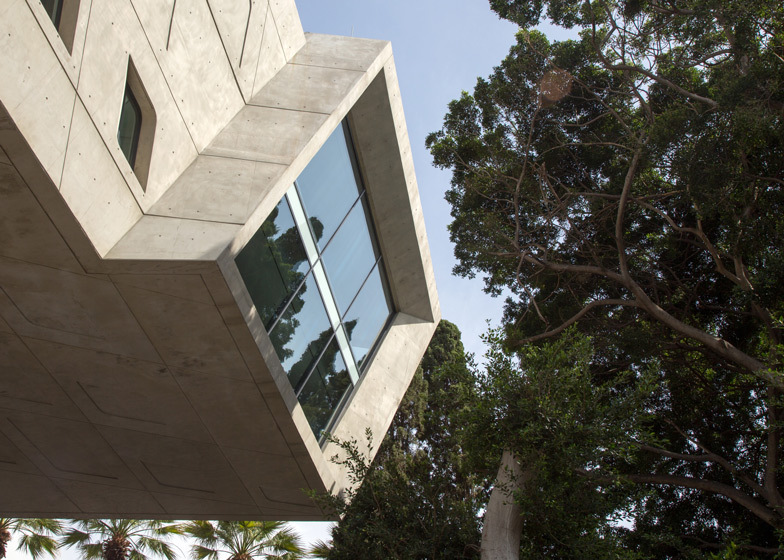 The building takes full advantage of the region's tradition and expertise of working with in-situ concrete. Passive design measures, high efficiency active systems and recycled water technologies minimise the building's impact on the local and wider environment. 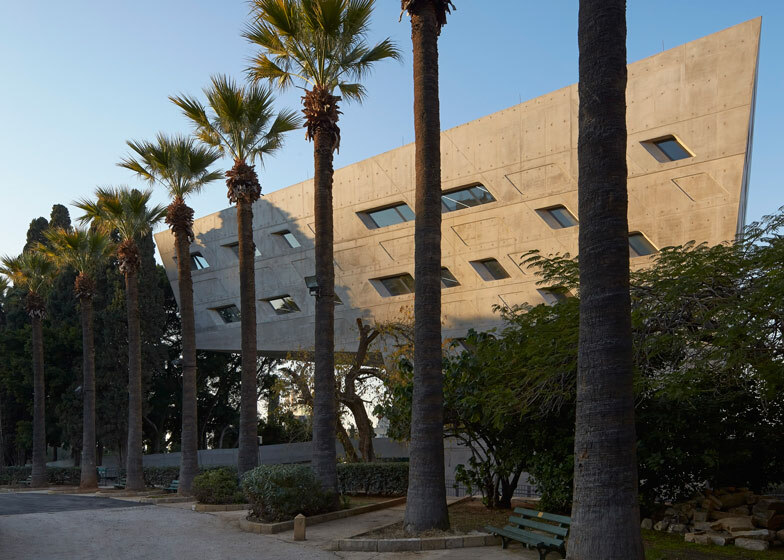 The IFI's design builds upon the institute's mission as a catalyst and connector between AUB, researchers and the global community. 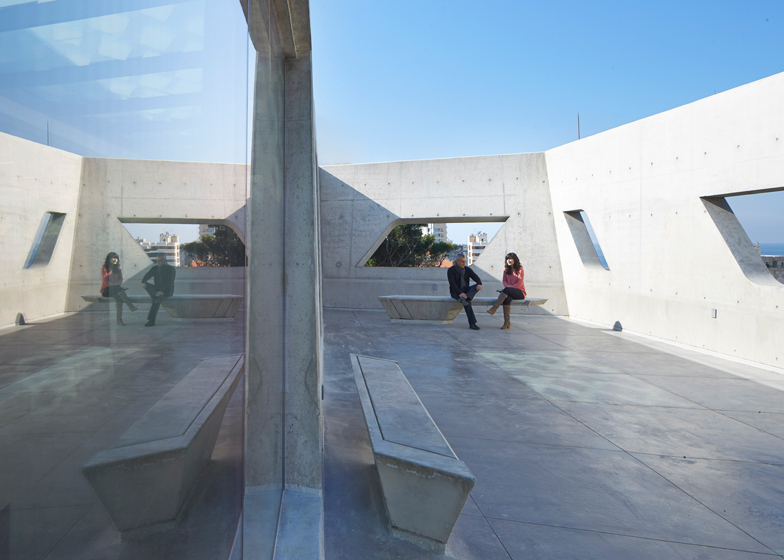 Routes, views and links within the campus converge to define the IFI as a three-dimensional intersection; a space for university's students, fellows and visitors to meet, connect and engage with each other and the wider world.